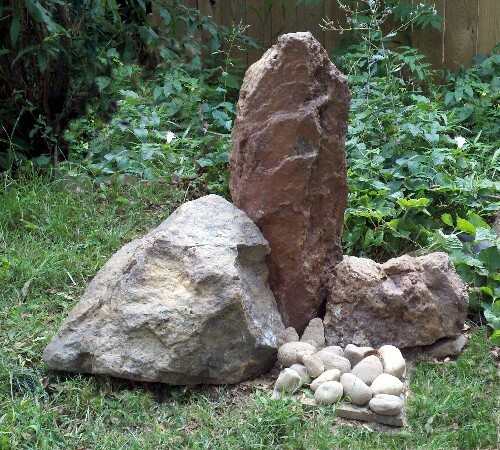 When you desire a composition that suggests the strength and stability of mountains, consider using the abstraction offered in a Zen rock garden arrangement. 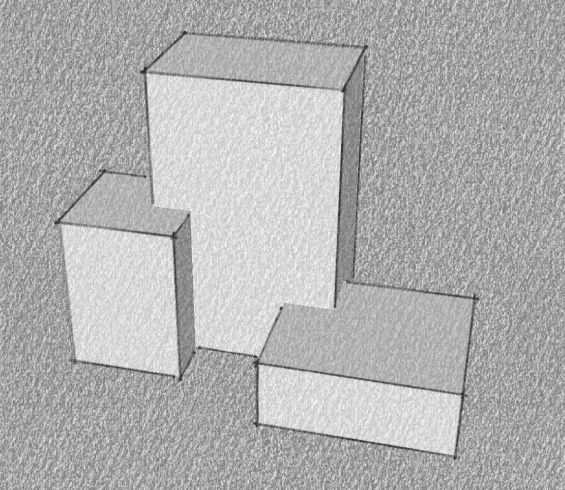 Consider following the tradition of grouping two forms around a main upright object in an overall triangular composition which evokes a mountain. This pattern might use Merge.